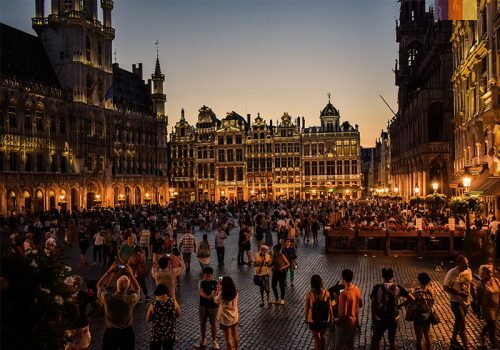 Belgium is home to a number of architecturally stunning cities and towns. Antwerp and Brussels will rightfully be two of the highlights on your cycling holiday but don't write off the other small towns. Mechelen and Diest are just two of the places that will leave you wishing you could explore Belgium forever. As you ride between cities you will follow luxurious cycle lanes surrounded by luscious countryside, mystical woodlands and expansive nature reserves. Follow the Albert Canal between Antwerp and Herentals, a charming flat ride alongside the still water. With over 200 breweries still running, you'll want to try some of the locally sourced beers during your holiday in Belgium. We also love the food on offer in each of the cities you will visit. Specialities include muscles and chips, waffles and of course chocolates. Arrive in Mechelen and start your exploring. The old town is a great place to begin with well-preserved, Catholic architecture dating back to the 14th century. Have a browse of the many pastry shops before listening to the peaceful carillon bells. A great way to begin your Belgian cycling holiday. Start your day in the town of Sint-Kathelijne-Waver where you will explore the school complex (Our Lady of Wavre). The winter garden is a particular highlight of this stop, observe the masterpiece of art nouveau, an ode to nature, springtime and light. 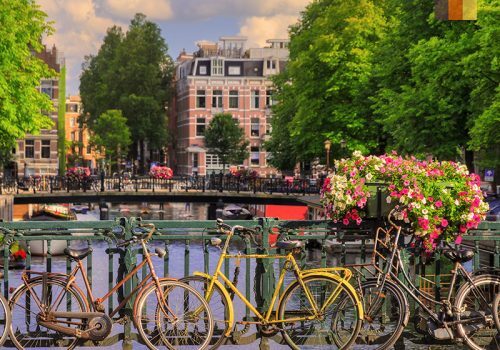 Those hoping to explore the city of Antwerp can take the shorter route whilst those who are keen to spend time on the bike can ride the full 57km. Take the short route and ride through Duffel on the River Nete, Mortsel and Berchem before visiting Fort no. 4, one of the 8 original Brialmont Forts that defended Antwerp between 1860 and 1864. The long route will guide you through the historical town of Lier on the River Nete where you can explore the new art museum. Conclude in Antwerp, tasting the beer and relaxing in the various cafes and restaurants in the city centre. We also recommend taking a stroll around the Old Town. Choose to ride 38km or 57km today. Leave the busy city of Antwerp and gradually ease yourself into the vibrant, calming Rivierenhof park with a river and two castles to explore. Following this, you will join the Albert Canal on your way to Herentals, the historic capital of the Campine region and birthplace of Rik van Looy, the celebrated Belgian cyclist. Choose to stay in Herentals or follow the canal a little while longer and spend the night in Geel, an equally rustic and beautiful city. Choose to ride 42km or 58km today. Today your ride will follow the waters edge through the Flanders countryside. Weave between the peaceful villages of Meerhout, Schoot and Engsbergen before spending the afternoon in the woods at Gerhagen nature reserve. You’ll then arrive in the special town of Diest. Boasting one of the oldest Beguinages in Europe, explore the area via the dedicated cycleways that guide you towards the river Demer which flows through the town. Choose to ride 56km or 40km today. Take some time to explore the Basilica of Our Lady of Scherpenheuvel where a magnificent domed church awaits. Next, cycle on to the neighbouring town of Zichem and climb the 14th-century tower, Maagdentoren. The views from the top are worth the steps! Following this, you will ride towards another picturesque town. Aarschot is a great place to stop for lunch and maybe even visit the town brewery while you’re there. In the afternoon you will cruise through the rolling Flemish landscape to Wertchter and spend the evening in the lively University town of Leuven. Your ride into Brussels will take you through the hills of Brabant and amongst the Sonian Forest to Brussels. If you wish to spend longer here you can catch a train. Once in the Belgian capital, don’t waste a minute waiting around. Visit the market square and explore the Grande Place where the Town Hall and history museum await. Make sure you eat at one of the delightful restaurants and taste the local beer before enjoying some waffles and/or chocolate for dessert! Enjoy a morning doing some final exploring in Brussels before cycling through the suburbs to Grimbergen, famous for its abbey and incompleted baroque basilica. Roll through the various natural landscapes before once again arriving in the town of Mechelen, where your Love Velo cycling holiday began. Enjoy one final buffet breakfast (making the most of Belgium’s incredible food!) before concluding your cycling holiday and heading to the airport for your onward journey. If you wish to extend your stay just let our cycling experience team know when you inquire. The cycling season begins as early as April which offers cool Spring riding. The weather gets progressively warmer into May and June. Autumn is a great time to cycle as the summer heat has passed and the weather becomes cooler. Mid to late October can become quite wet. The winter is wet and temperatures can become quite cold, especially in the heart of winter. Belgium is one of the most charming places to cycle in Europe. The country’s commitment to cycling ensures there are ample cycle paths and networks available for those looking to tour the lowlands. Link the famous cities and towns by following scenic river paths or secluded countryside lanes before discovering the cultural and architectural histories of Antwerp, Leuven and more. If you’re new to cycling or simply seeking relaxed rides with great rewards, this is the place for you. Your accommodation will be in 3 or 4-star hotels, expertly picked for their locations and surroundings. With a mix of canal-side hotels and charming authentic residences, you'll find your accommodation to be one of the highlights of your trip. The holiday is a self-guided holiday allowing you to explore Belgium at your own pace. We have hard copy routes available for you as well as a guide book to follow but we recommend hiring a GPS and be guided from place to place with our pre-loaded routes. Even though the trip is self guided, we will provide you with a 7-day hotline number that you can use in case of any emergencies or queries whilst on your holiday. 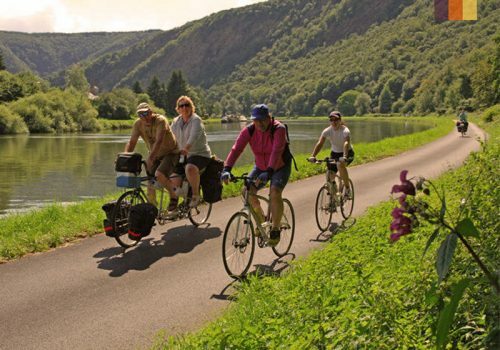 The bike we will provide you with is a fabulous 24 geared touring bicycle, perfect for exploring the short distances you will be making on your holiday. We are able to provide e-bikes, children's bikes and road bikes so if you require these, please ask us.